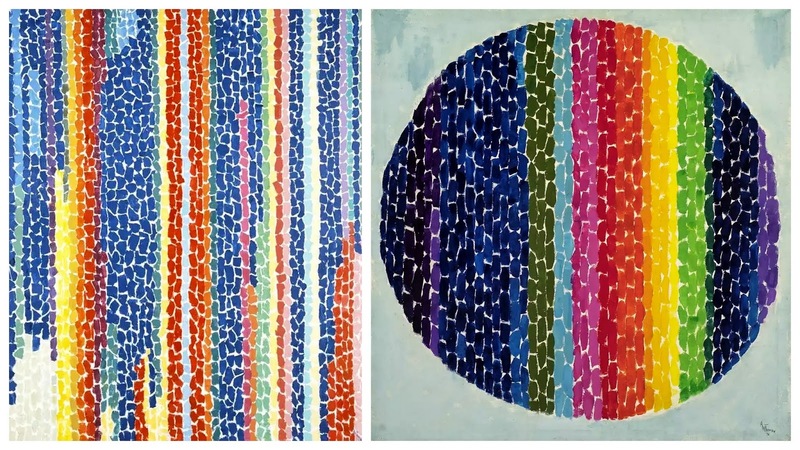 I recently became enamored of the color school paintings of Alma Woodsey(!) Thomas, an art educator and painter who was making these very cool abstract paintings in her kitchen in the 60's. so we started every class for a week looking at her awesome compositions. The kids told me about kinds of lines, shapes, and colors Thomas used in her work - one saw raindrops, another bricks! It was honestly some of the best art-talk we've had this year. we turned to the old art room staple: construction paper. 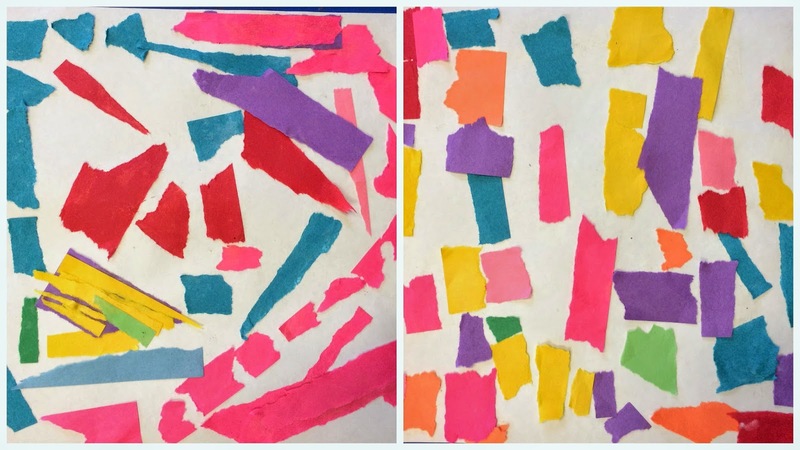 Using their "pinching fingers", students carefully tore and arranged paper into cool, abstract collages.